The NSW Summer Series has been in operation for some 18 years in various formats and boasts a who’s who of winners over the years, including NSW windsurfing legends such as Mike Nelson, Sam Parker & Brett Morris, as well as professional sailors Sean O’Brien, Allison Shreeve & Steve Allen. 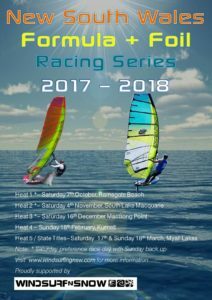 It’s the longest running windsurfing course-racing series in Australia boasting a strong local fleet at its organised events over the summer. 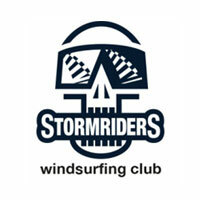 The series is organised by Windsurfing NSW with the help of Stormriders Windsurfing Club, Marmong Point Sailing Club on Lake Macquarie. The season this year has a number of events shared with an emerging foiling fleet. Windsurf n Snow have generously gotten behind the series, and are offering unprecedented prizes and also the opportunity to demo and experience the foiling craze. Want to win a Neil Pryde RS-Flight Al Foil, get along to the series, more events you attend the more chances you have at winning (random lucky draw prize) in total 2 foils being awarded for the season, prize drawn at Myall Lakes State Tiles in March 2018. We hope to see you at our next event! Register here.